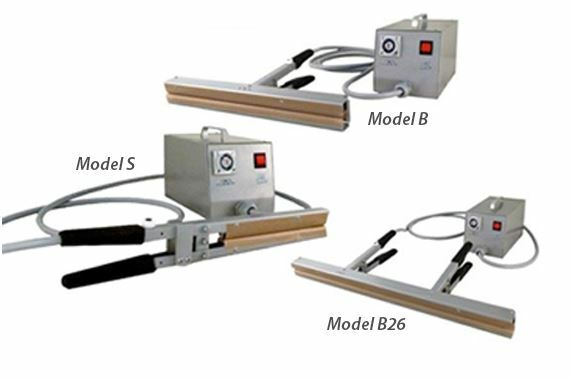 These Hand Held sealers are ideal for sealing polyethylene and laminated foils. Applications include sealing around oddly shaped products including drum or box liners or for sealing around large objects such as furniture. The heat cycle is controlled by a timer on the main housing. The operator increases or decreases the heat as desired. Upon completion of the cycle, the operator again squeezes the jaw, releasing the sealed product. All controls are solid state. 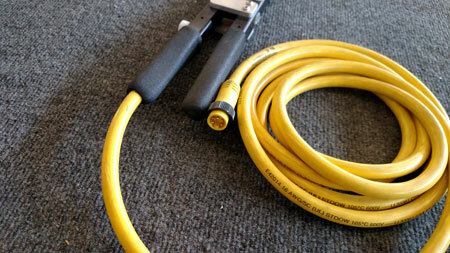 An eight-foot power line cord and eight-foot sealer cord are standard. Each unit comes complete with a two-year warranty, detailed operating instructions, and a spare parts kit. Model B8CNC: The New advanced clamp-type sealer with "Seal Assist" technology, reduces fatigue for operators! Note: 2 - 3 weeks delivery.